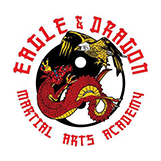 Looking for a quality martial arts program in the St. Louis Metro East Area? Try out one free class with no obligation or charge. Call today! Since 2005, we’ve been providing martial arts instruction in the O’Fallon, Swansea, Belleville, SAFB and Southwestern, IL/St. Louis Metro East areas. Our certified, expert instructors offer quality programs in a safe and caring environment. Our goal is to give each student personal attention and encouragement to help them reach their potential. Led by Master Rocky Fountain, our academy offers a variety of classes for various ages and skill levels including preschool martial arts, kid kick, teen karate, adult karate, mixed martial arts, Brazilian jiu-jitsu, boxing, kickboxing, tae ryu jitsu karate, self-defense, personal training, self-discipline training, weight loss, and more. Each program is designed to bring out the best in our students. Students will have fun and gain a sense of mastery that will improve their mental and physical strength. We offer competitive pricing including military discounts and multiple family member discounts.